Beetroot has long been hailed as a natural healer for their ability to help lower blood pressure. However, did you know that they have also been traditionally used to treat fever, constipation, bloating and gas? Did you also know that the greens from beetroot are chock full of calcium, iron and vitamins A and C and should definitely not be overlooked. Simply cook them up just like you would spinach. 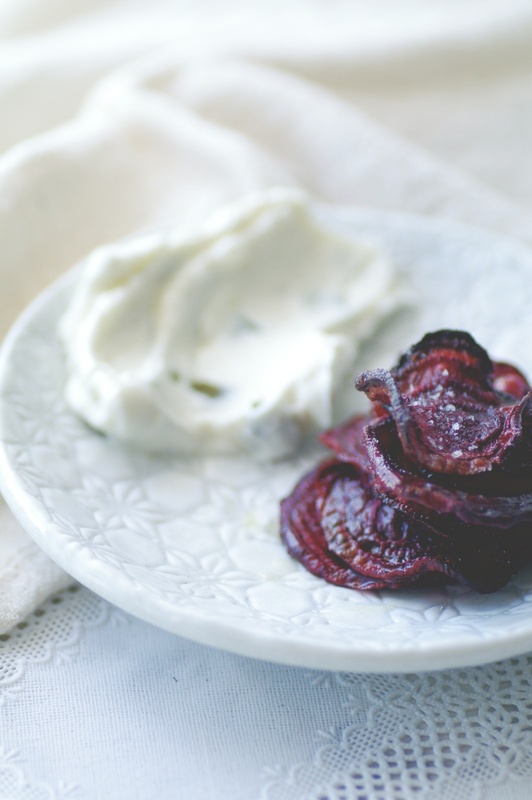 To buy, your beets should be firm, smooth and vibrant, not soft, wrinkled or dull. They can be stored (with the greens attached) for 3-4 days in the fridge, however remove the greens and they'll actually last you between 2-4 weeks. 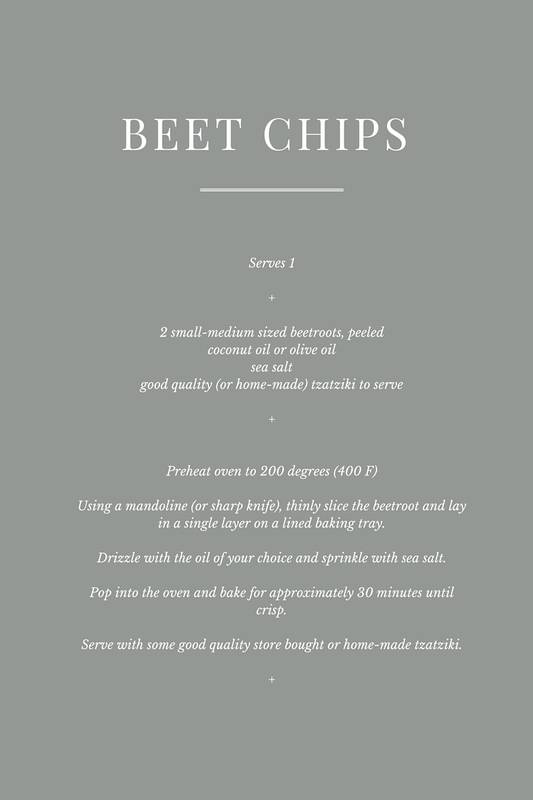 So even though this recipe is for "chips" - you'll know that with each crunchy bite, you're doing your body the world of good, and served with some good store-bough (or even better, homemade) tzatziki - this is my little gift to you. Enjoy! Of course, omit the tzatziki for a dairy free/paleo/vegan friendly version. Older PostI'm still here . . .